Join a park interpreter at the Thoreau house replica for a walk through the evolving forest around Walden Pond. 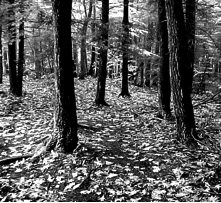 Learn about the woods as Henry David Thoreau would have known them, and how they have changed since his time. Discover some of Thoreau’s favorite plant species, their uses, and their place in the forest’s future. Please wear bug spray and dress appropriately. This entry was posted on May 30, 2015 at 2:26 pm and is filed under 6_15 Public Programs. You can follow any responses to this entry through the RSS 2.0 feed. Both comments and pings are currently closed.